I received my M.Sc. and Ph.D. degrees in Electrical Engineering from Shiraz University, Shiraz, Iran, in 2009 and 2014, respectively. 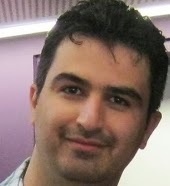 From August 2012 to February 2013, I was a visiting scholar at the Electrical and Electronic Engineering Department of the University of Melbourne, Melbourne, Australia. I joined the Electrical Engineering Department of Sheikh Bahaei University, Iran, in August 2014, where I was an Assistant Professor until August 2016. From August 2016 to October 2018 I was a Humboldt Research Fellow (Humboldt-Forschungsstipendiat) at the Dynamical Systems Chair of Passau University, Germany. Since November 2018 I've been a Scientific Associate at the Institute for Automation Engineering (IFAT), Otto-von-Guericke University Magdeburg. Please check my personal webpage here for more details.